Dr Max Blumberg, one of the world's leading HR Analytics leaders, talks about how HR can use 'people analytics' and up its level. 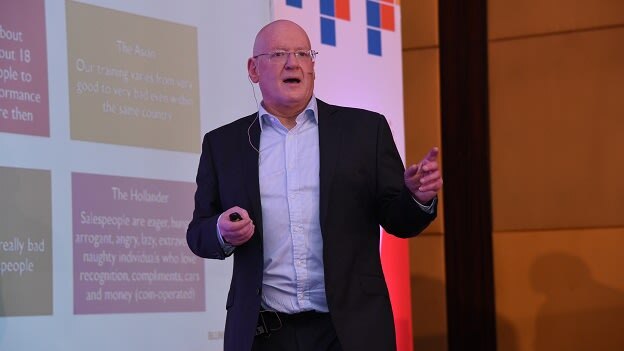 During his session titled ‘Value Profiling Methodology: Driving Data-Driven Prioritization’ held at People Matters Talent Analytics Conference 2018 at Bangalore on 21st March 2018, Dr Max Blumberg talked about how the HR needs to up its level. Here is a glimpse of what he said. The leadership is concerned about the business outcomes and objectives that it has set for itself and they want to know how People Analytics can help in achieving those. The problems that Blumberg highlighted ranged from not understanding what ‘People Analytics’ actually did, to not thinking about the ROI and also being too engrossed in problems at the lower levels. Over the past few years - and this is from the time when People Analytics first became the buzz word in the industry - there were no ROI expectations attached to it. But Dr Blumberg talks about how in a few years the senior leadership is going to come back and ask some tough questions to the HR like ‘How does the quintillion amount of data that you have generated solve my business problem?’ Hence, it is important to realize that People Analytics need to have a business outcome and it is not just about generating data or visualizing it in various different forms. For that matter, the HR needs to step out and ask the workforce as to what they think is the problem, and what could be the probable solution. People analytics is answering the question, 'What business problem am I having and what process is causing the problem? Dr Blumberg gave an example of a global multinational which approached and asked, ‘Why is there inconsistency in the level of revenue that my sales people generate across the world?’ When Blumberg booked his flight tickets and asked the sales directors about it, he got varying answers like, ‘the sales people left job earlier than they reached their peak level’, ‘they were not the right people for the job’, ‘it all depends on the kind of training’ and ‘they are not being managed by the right people.’ He, like any other person, would not know which one of them was a correct hypothesis; and hence, he decided to enter the state of ‘Tabula Rasa’. So, he went back to the sales people and asked them to tell him ‘how exactly they generated sales for the organization.’ Together, they laid down the processes and identified which of them were the most important, the most effective and which of those were important, but the team was bad at them. As it turned out, the processes were both important and effective, but the teams were not proficient at them. And hence, the last hypotheses which had been postulated by a Hollander was correct. The problem lay with recruitment. But they had together created the sales model and Dr Blumberg said that people do not break things that they create and they also did not resist the changes that he was going to make to the model. The next issue that Dr. Blumberg addressed was that the senior leadership is looking for solutions to the problems in terms of the effectiveness of the programs that are run by the HR and also the ROI. Now, when leadership goes to the HR and tells them about the business outcomes they want to achieve and the challenges that they are facing, the HR goes back to them and tells them about the symptoms of the problem ‘like increasing attrition levels’. However, the senior leadership does not have an answer for that because the symptom is not what they are looking for. What they are looking for is probably ‘How can we increase the productivity and which directly correlates to the revenue that they have to generate?’ Now, if the tech team comes with a solution that requires the organization to invest in tangible assets like technology, then the organization would go for it. The problem also occurs because it is difficult to measure the ROI of the human capital, which is where the organizations or HR professionals to make use of the ‘Value Profiling’ matrix which was shared by the Dr Blumberg during the session. It follows the same steps, which include identifying the process involved, then identifying which of them are most important and effective and then identifying which ones the people are good at and which ones they are are not good at. Fundamentally, organizations and HR professionals need to realize that it is only processes that can be fixed or controlled. Processes like ‘recruitment’, ‘training’, ‘onboarding’ etc., while the others like engagement are activities and cannot be controlled because it is not a process. "If you get your processes right, that will give you the workforce capabilities that your company requires”, said Dr Blumberg. In the end, remember that People Analytics is so much more than data, it is actually about applying people analytics to business problems to achieve business outcomes. NEXT STORY: Is Talent Analytics fueling the HR processes?